The process of leasing a new Chrysler is changing for the better thanks to Auto Leasing NJ! We’re writing a new playbook with our all-online leasing system and cost-cutting business model! We offer the best Chrysler leasing deals in the states, and no other agent in New Jersey can bring you a more convenient and easy Chrysler auto leasing experience! We have every current-model Chrysler automobile, like the 200 Convertible, 200 Sedan and 300 Sedan! 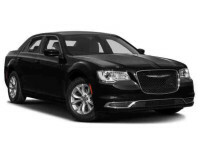 Because of our online business model for Chrysler leasing, we are able to greatly reduce overhead costs to almost nothing, which equates to us being able to offer you far lower prices than anyone else in the Chrysler car leasing business! Over our many years in the automobile leasing game, we have developed close relationships with financial institutions and lenders, so we can negotiate much better financing on Chrysler cars than any other leasing agency! There’s no better place than Auto Leasing NJ to find a Chrysler lease, so check out our impressive stock of Chrysler vehicles online or call us up at 609-830-0066 right now! How does Auto Leasing NJ cut costs from the Chrysler auto leasing process? When you think about a traditional leasing agency, it’s obvious that there is an excess amount of up-front and recurring costs that end up costing money for you, the valued customer! The key element that we have eliminated for the benefit of our customers and ourselves is the ominous car lot and/or showroom. A physical showroom must be rented (costing huge monthly fees) or purchased outright (a massive up-front cost that will have to be made up by charging higher rates). Let’s not forget the fleet of cars to fill the aforementioned showroom and lot: they have to be paid for in full and upgraded at every new model year in order to stay competitive! The result of all of these overhead expenses results in you having to pay higher monthly rates, just to keep the leasing agency out debt! Auto Leasing NJ saw this model and decided to go the opposite direction! We cut out all of these costs! All our leasing vehicles are shown on our website, so we have no showroom and no car lot! 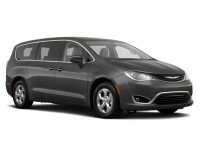 We also aren’t forced to buy cars up front, because we’ve spent years forming relationships with multiple affiliated dealerships, who graciously allow us to offer their stock of Chrysler autos, like the Town and Country Minivan as part of our own fleet of leasing automobiles! 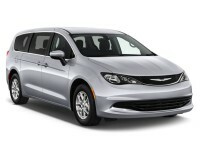 The beauty is that your next Chrysler auto lease isn’t going to be limited to only what one agency has in stock. Shopping the online showroom at Auto Lease NJ is like visiting every Chrysler lease agency in New Jersey at all at once, without ever having to leave the comfort of your own home! We’re waiting for you online! Auto Leasing NJ is the only place you should be looking for your next Chrysler car lease! Visit the Chrysler page of our online showroom or inquire at 609-830-0066 right now!